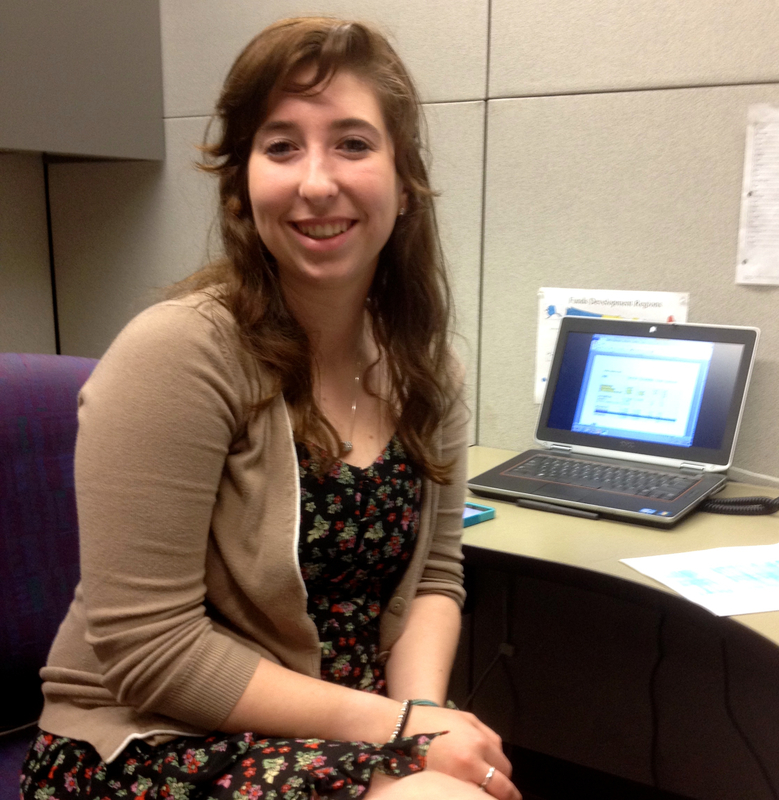 Rachel Shussett, recipient of a Jameson-Hines Scholarship from the Presbyterian Writers Guild, has begun work as summer intern for the Office of Communication in Louisville. Shussett will be dividing her time between Presbyterian News Service, Presbyterians Today, and the Presbyterian Mission Yearbook for Prayer & Study. Shussett will be a junior at Westminster College in New Wilmington, Pennsylvania. She is majoring in public relations and minoring in journalism. This past year she was a staff writer for Westminster’s weekly newspaper, Holcad (Shussett says the name has something to do with ships). Next year she will be News Editor and is in line to be Editor-In-Chief her senior year. Shussett currently officially resides in Allentown, Pa., where her father, Steve, is executive for Lehigh Presbytery. During her May 15-August 15 internship, Shussett will be writing for Presbyterians Today, writing and editing for Presbyterian News Service, and helping prepare the 2015 Mission Yearbook for publication later this summer. Her “bosses” will be Patrick Heery of PT, Billie Healy of MYB and Bethany Furkin of PNS, who will serve as Shussett’s day-to-day supervisor. Her first BIG assignment will be traveling to Detroit in June to serve on the news reporting staff for the 221st General Assembly. In July, she will cover the New Wilmington Mission Conference for PNS. In August, she will help cover the annual Evangelism and Church Growth Conference. Look for reflections written by Shussett on her summer internship in future editions of The Writer.